…I’m wondering if you could offer any suggestions for a Colorado resort that may be ideal for kids, with well-groomed, long, and wide green and blue cruisers. My daughter’s eight and has been skiing since she was four at mid-Atlantic areas, including Wisp, Whitetail, and Timberline, several occasions each season. She’s advanced quite well, but this coming February (President’s week) will be her first out west. Plus, I’m an intermediate skier who enjoys greens, blues, and beautiful views. Any tips you could offer would be much appreciated. I’ll answer your question regarding which Colorado resorts offer good long novice & intermediate cruisers a little differently than you might expect…with the ones LEAST likely to fill the bill, and it’s a short list. Aspen (Ajax), Crested Butte, Telluride and — surprise — Vail. Each of those offers a lot for the intermediate, but their intermediate skiing tends to be a notch harder than most places. Having said that, you can’t go wrong — even if you do wind up at those resorts. They just have so much to offer, there is something for everyone at virtually every major Colorado resort. Crested Butte and Telluride are a little more off the beaten path, takes a bit longer to get to them, and then not as much “there” there. So not ideal for a young family. Aspen/Ajax is right in town and really has no novice terrain, lots of good skiers, probably overwhelming for an 8 year old used to the friendly atmosphere of Wisp. The rest of the Aspen properties certainly would fill the bill, as long as you can pay it. 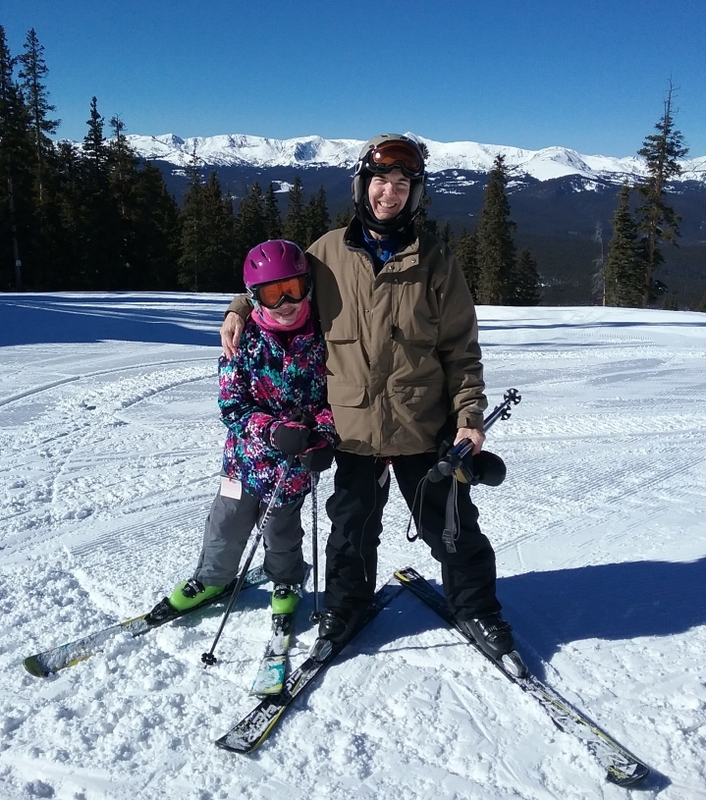 And while Vail is enormous and does have something for everyone, it is that enormity that can make it overwhelming, especially for an eight year old. And the ticket price is brutal. The real recommendation (I can’t leave you like that) is fly into Denver and head west on I-70 for Summit County. Rent a car; the shuttles are sometimes late and you’ll appreciate the freedom. Stop (or perhaps slow down) at exit 254 to see the buffalo herd. A few exits later is Idaho Springs, that’s a great place to stop for a quick bite to eat & rent skis. Being from the east, you might want to give Carl’s Jr. a try. If you landed early enough, your next stop is Loveland ski area, lifts 2 & 6 are a terrific introduction to Colorado skiing. Because of the way it is shaped, Loveland has a very big, awesome feel to it, and the views are stunning. Keep in mind there are no safety bars on the lifts. Do your homework before you go and you can find plenty of discount coupons, buy-one-get-one deals through the Colorado Entertainment book (the ones that charities sell) so that even if you’re only there for a couple hours, it’s a great introduction to Colorado. Also it’s a non-resort, so it offers a nice contrast to what’s ahead. From Loveland take US Route 6 over Loveland Pass — if it isn’t snowing. Stop at the top; it’s a must-see. You’ll wind down past Arapahoe Basin and you can take a look at Palavacini as you drive through. A-Basin is best left for a future trip, when your daughter is a little older, but if you find a good deal, grab it. Even if your schedule doesn’t permit skiing at Loveland, it’s well worth the time to get off the interstate and take US Route 6 over the top. US 6 takes you past Keystone and into Silverthorne/Frisco. Keystone, Breckenridge & Copper Mountain are all great resorts that offer plenty of what you’re after. My pick is usually Copper, because it is most affordable and deals can be found. Keystone does have some great lodging packages, and Breckenridge has something for everyone. If you aren’t inclined to stay right at a resort, the town of Frisco offers all kinds of lodging options, from condo rentals to hostels to luxury homes to budget motels, and everything in between. Going from Frisco to Copper Mountain takes about ten minutes. Skiing at Copper you can work the morning on Lumberjack, Union Creek & Kokomo. Hit the T-Rex Grill for lunch, and then move up to The Rendezvous Bowl for the afternoon. They say “bowl” but it’s really just a giant, easy, mountaintop meadow. You won’t want to leave. 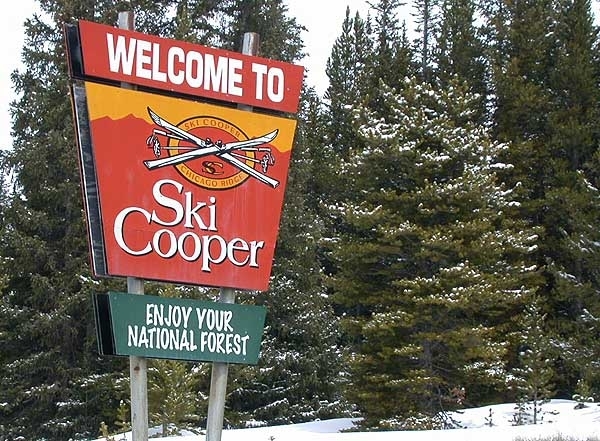 Should you want a change of pace, the drive down to Leadville will give you some off-the-beaten path scenery, and the skiing at Cooper (not to be confused with Copper) is simply marvelous for young families. It is not a resort, it’s a throwback type place with loads of blue/green skiing on the front and back side of the mountain. You can’t beat the price or the snow. For more activity type pursuits, Copper, Keystone, Breckenridge etc. all have ice skating, sleigh rides, and plenty of other trappings. Hope this helps. If it does, let me know and I’ll post this answer portion on the site. But having said all that, you’ll have a great time no matter where you go. 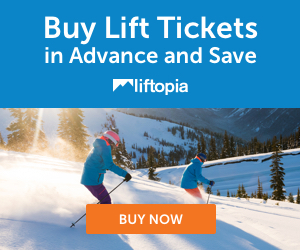 Steamboat, Durango, Crested Butte, Winter Park, Powderhorn, Wolf Creek…you’ll want to ski them all! We had a very nice time at Ski Cooper last Wednesday! As usual, your review of it was spot-on. We skied two full days at Keystone, then two at Breck (all five peaks), deciding after that pedal-to-the-metal time to just chill a bit and head to Cooper. So glad we did–excellent conditions, few folks around, real decent staff, and staggering beauty all around us. We also enjoyed learning about the local fauna and flora via signage on the lifts. 🙂 Here’s a pic of me and Claire. Thanks again for the recommendation!